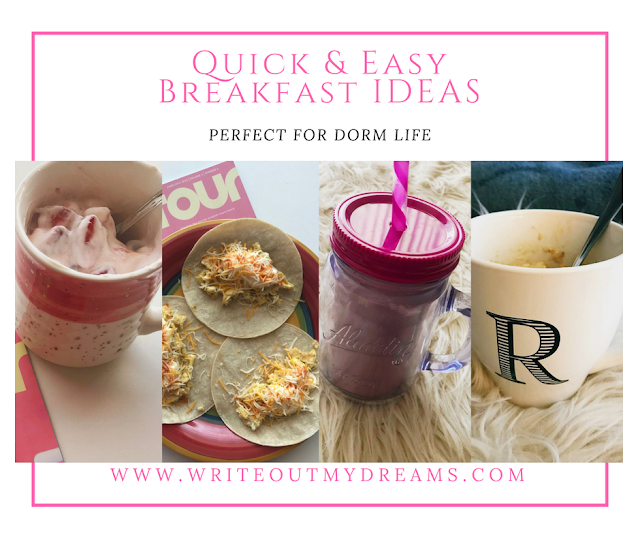 Quick & Easy Breakfast Ideas Perfect for Dorm Life! They say breakfast is the most important meal. In college, sometimes it seems to be easier to skip breakfast due to waking up late or not having the energy to make breakfast. I have gone through two years of college, and I think I have mastered breakfast time. These four recipes are my go-to everyday breakfast ideas that have yet to fail me. All of these breakfasts can be easily personalized by adding your favorite items to them! 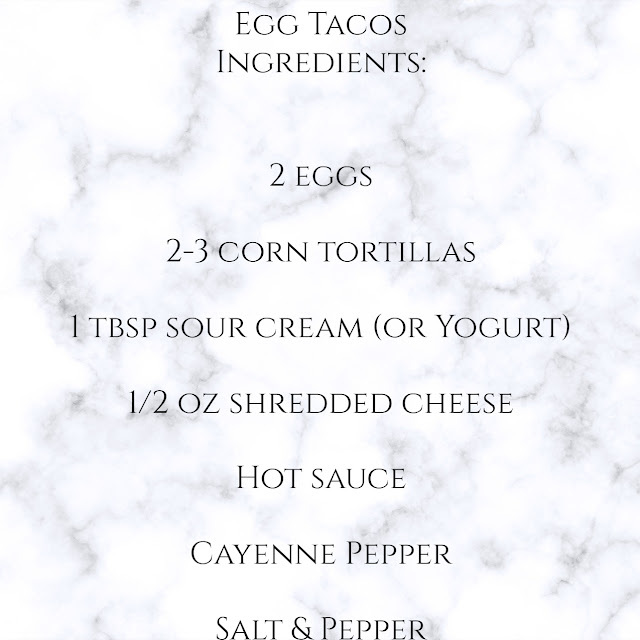 This recipe is the easiest out of the four, and the least time consuming! I love this recipe because it is so basic which allows you to be able to add things you love to jazz it up. For me, I love almonds and fruit. Specifically, I love my yogurt with strawberries and peaches, but you can put any of your favorite fruit in it. 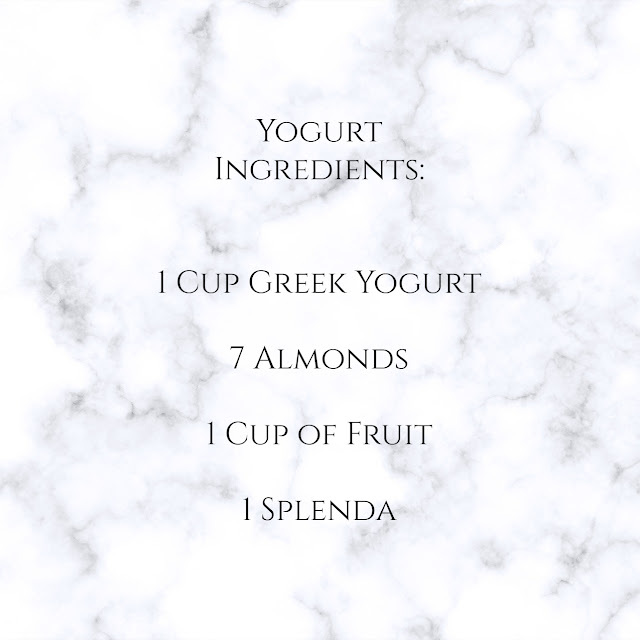 You can also find non-dairy yogurt if you are vegan. If you are running late, you can put this in a to go cup and eat it on the way! 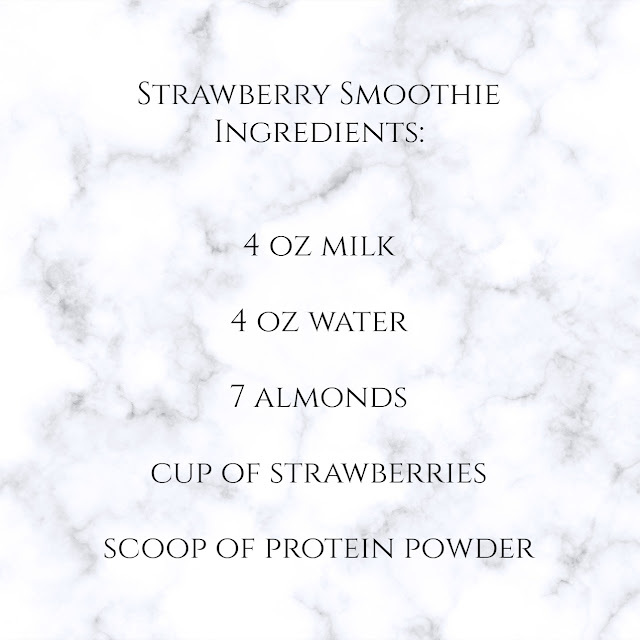 This drink is perfect for breakfast, after workout snack, or for a pick me up snack. This is another great recipe for when you are running late and you do not have enough time to sit down to enjoy a breakfast. Again, you can make this recipe your own. You can add any fruit and protein powder of your choice. Also, you can always swap out the milk with almond milk to make it vegan. For this recipe, it is important to buy the oats that are already cooked and ready to eat just by putting them in the microwave! Oatmeal is a breakfast that can be super healthy if you choose to make it without added sugars. Most dorms do not have a stove, however, if you have access to one, you can sauté some apple slices and add them to the oatmeal. 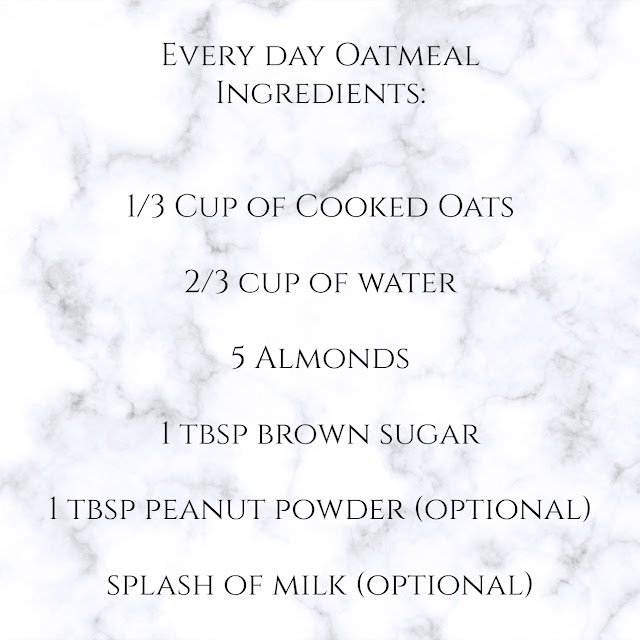 If you are running late and don’t have enough time to make this oatmeal, you can buy some instant oatmeal that already has added flavors to it! Just be aware of how much sugar is in the oatmeal of your choice! Out of all of the breakfast ideas, this is the most time consuming and requires a stove. Again, most dorms do not have stoves, but you usually do have access to a communal stove. Even though this breakfast is a little more time consuming, it is still quick, easy and, personally, my favorite. If you have extra time, you can always add extra veggies such as tomatoes, jalapeños, or spinach.